Greg helps clients buy and sell real estate - single family homes, condos, townhomes - as well as investment property. He is patient with his residential buyer clients as he believes the purchase of a home is something not to be rushed. He leverages his 25+ years of experience to help clients find the right home, then uses that experience to help them to negotiate the best price and terms. By working with his seller clients in a straightforward and honest way, he helps them to most effectively market their property to potential buyers and get to a closing in the most time-efficient way. Some times this involves repairs, staging or re-positioning. In all cases, accurate, well-written marketing materials and professional photography are critical as is timely follow up and working cooperatively with other Realtors. Greg has extensive experience on North Side and North Shore. He has a deep interest in sustainable/green development/construction and enjoys value-add investing situations. Mr. Weissman enjoys an unparalleled level of industry-specific training and education, having earned more than a dozen real estate designations/certifications. 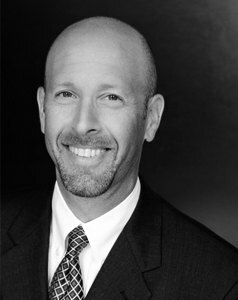 Mr. Weissman is a designated Senior Real Estate Specialist (SRES) and has been very actively working with seniors, "empty-nester" clients and real estate geared toward that market segment. Greg works with an experienced team of professionals who can help to make a real estate transaction proceed smoothly and economically, and thoroughly protect the best interests of his clients. Greg is a member of the Natural Resources Defense Council, the Sierra Club and National Public Radio (91.5 WBEZ locally). He has served on the Board of Trustees at his congregation and as a Commissioner of Northbrook's Environmental Quality Commission. He is a past board member of the North Shore - Barrington Association of REALTORS as well as a current member of its Professional Standards Committee. "Real estate work is not a hobby for me. It's been my profession since 1990." Born and raised in Highland Park, and a graduate of University of Wisconsin - Madison, Greg has resided in Northbrook with his wife and three kids for the last 18 years. Have a few questions about the market or ready to make a move? Contact Greg now. "I have known Greg for many years as a neighbor, friend and, now, Realtor. I purchased my condo for downsizing with Greg and we spent many Saturdays checking out what was on the market before I made my purchase. When it came time to sell my home, Greg was there for any question or problem and guided me to a proper solution. He even took on the added task of including my daughter and son-in-law in the process. I definitely would recommend Greg if you need to sell your home.